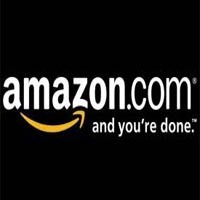 AMAZON Hiring Software Developer – Amazon.com, Inc. (Amazon.com), incorporated on May 28, 1996, serves consumers through its retail websites and focus on selection, price, and convenience. The Company offers programs that enables sellers to sell their products on its Websites. * Must have excellent documentation skills. * Must be able to perform test case execution and report bugs accurately. * Should be willing to relocate to any of the working offices. * Must be willing to join immediately. * Should have trouble shooting skills.